COMING SOON – Lots of new additions in the Shop!! Are you considering having a costume made for yourself, maybe coming to Golegā or performing in a tack and dress show? We’re very excited to announce that coming soon in our shop we have a stunning collection designed by Sílvia Teixeira. 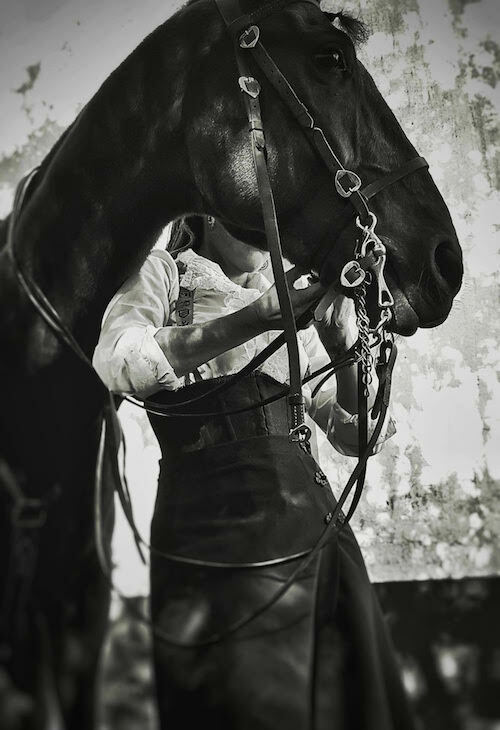 Silvia is a highly talented dressmaker and designer who has studied the traditional Portuguese riding costumes and is a rider herself. 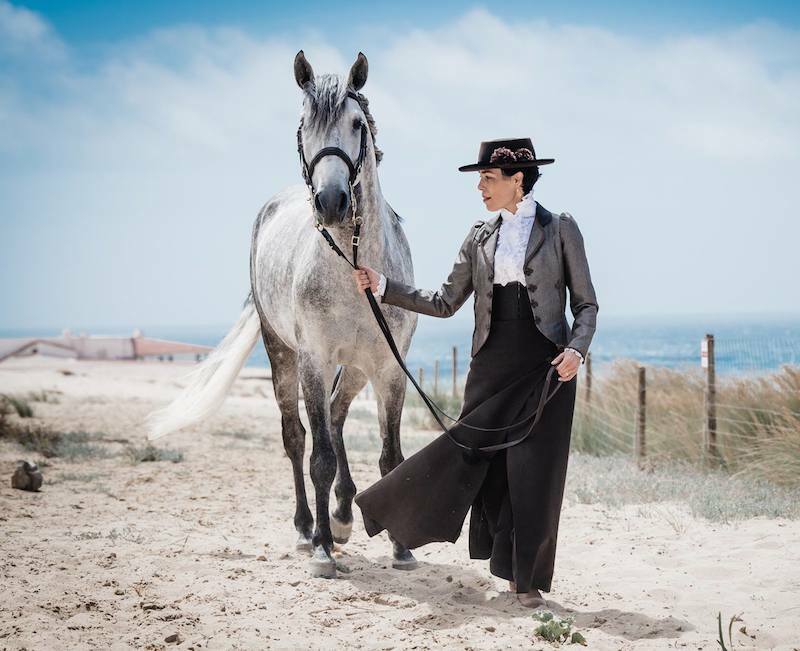 Her interest and research in the old classical Portuguese riding attires has meant she has to been inspired add special touches to the ladies riding costumes and brought back many fabulous details that have been lost along the way. In addition she uses special materials from Portuguese handicrafts including beautiful handmade lace from the Azores. The end result is wonderful stylish costumes. Each outfit is made to order, in colours and fabrics of your choice and takes up to 6 weeks to finish. She sells outfits in standard sizes but also provides a made to measure services, individual designs, special fabrics, matches jewellery, hat, spurs to complete your look. With the ‘made to measure’ Silvia prefers to do at least one private fitting in Lisbon or at her workroom in the Azores before finishing. What better way to have your own special riding costume than one made especially for you using many Portuguese handicrafts that support local people, traditions and arts.